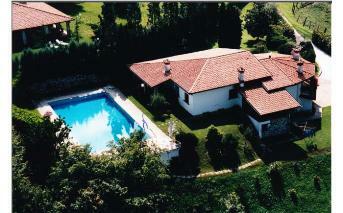 Detached villa with park and swimming pool in Asolo Ref 3304, Asolo, Veneto. Italian holiday homes and investment property for sale. This beautiful villa of 400 sq m is situated in an open, panoramic position, in the hilly area, just 20 minutes away from the town center of Asolo. 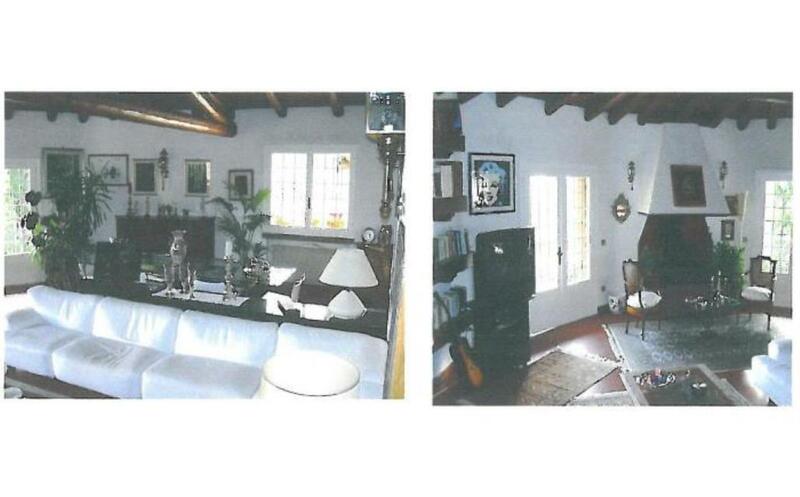 The property comprises a beautiful villa with swimming pool and a fully fenced park of approx. 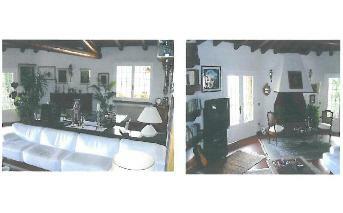 8,500 sq m, cultivated with different plans. 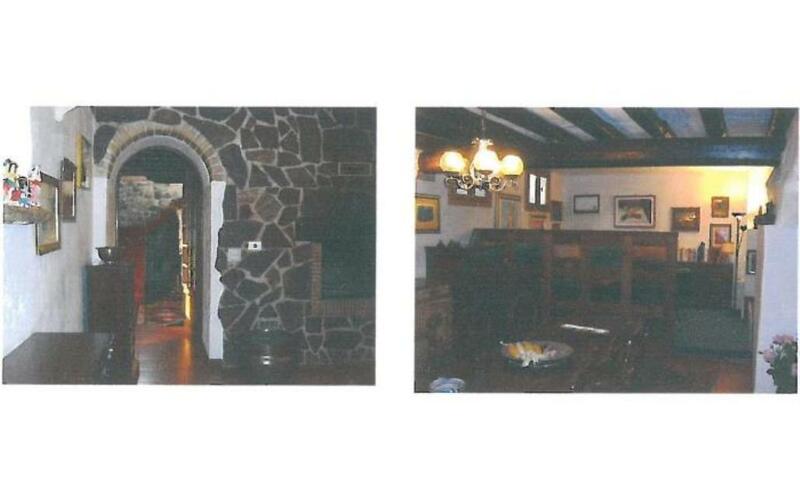 The villa consists of an entrance hall, kitchen, living room with fireplace and a balcony, hallway, three large bedrooms and two bathrooms on the ground floor; and a lovely sitting room with bay windows, tavern and study room with fireplace, a secondary entrance hall, bathroom, laundry room, canteen, storage room, boiler room and a large garage on the partially underground floor; adjacent to the house there is a guest bedroom with en-suit bathroom. 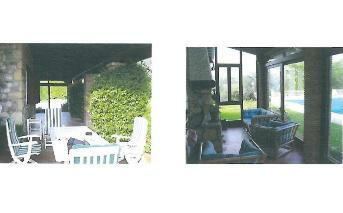 Externally there is a very large porch, partially enclosed with windows, with fireplace. The swimming pool measures 200 sq m of surface area, it is heated and is equipped with a rainwater treatment system, wc and shower. The area is protected by the Superintendency of environmental assets and architecture community, so other buildings are not allowed to be built here, apart of a further extension of this villa for 800 cubic meters more.